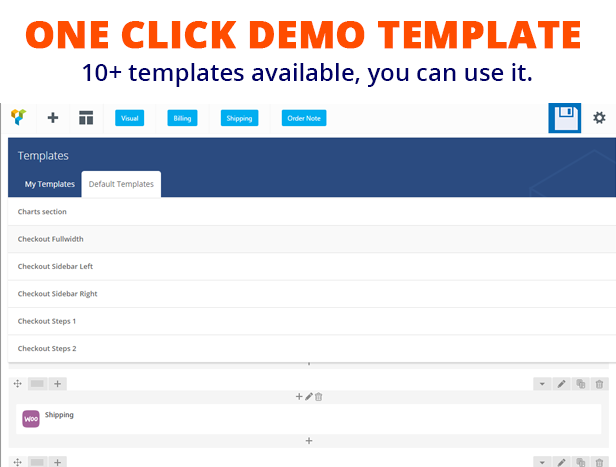 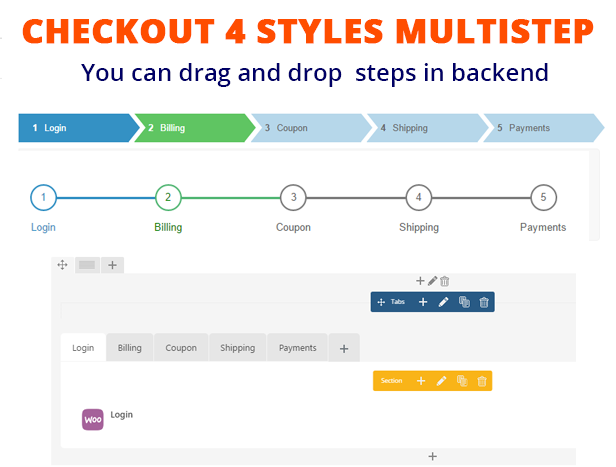 Plugin it help you can control or sortable all content element of Visual Composer and content element of checkout page: minicart,builling ,coupon, payments, login… to build checkout page. 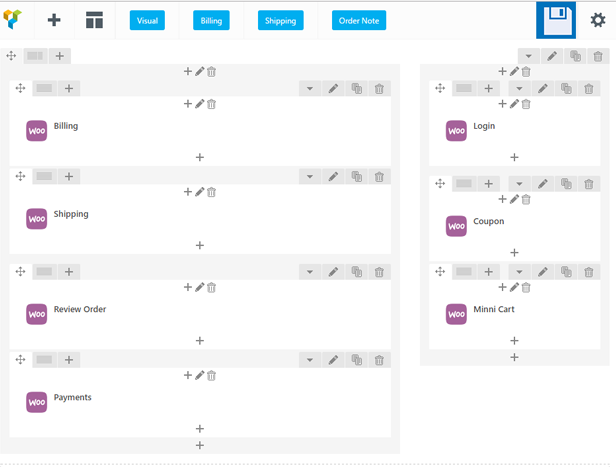 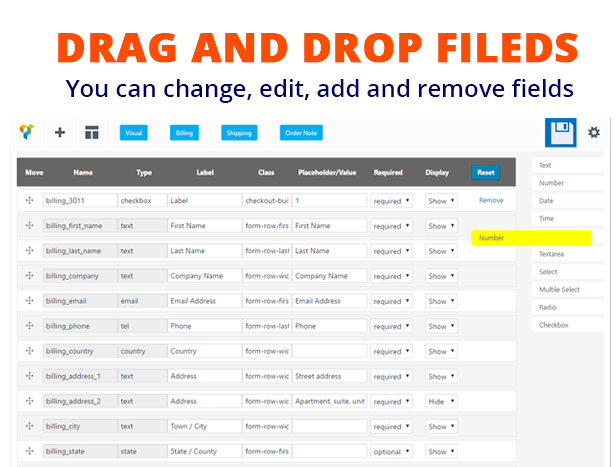 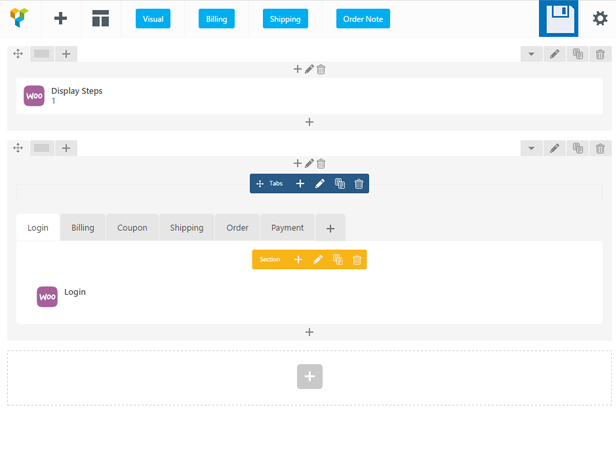 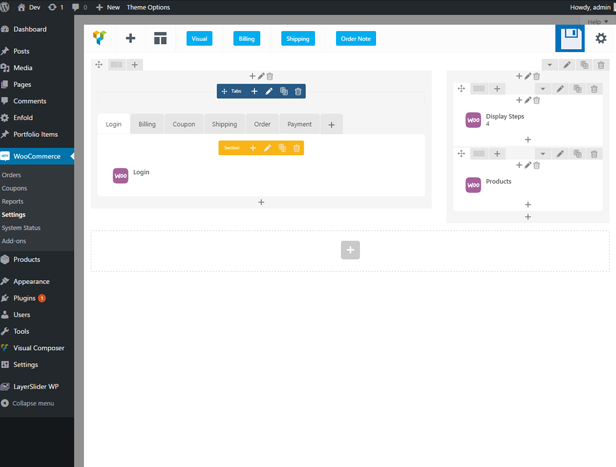 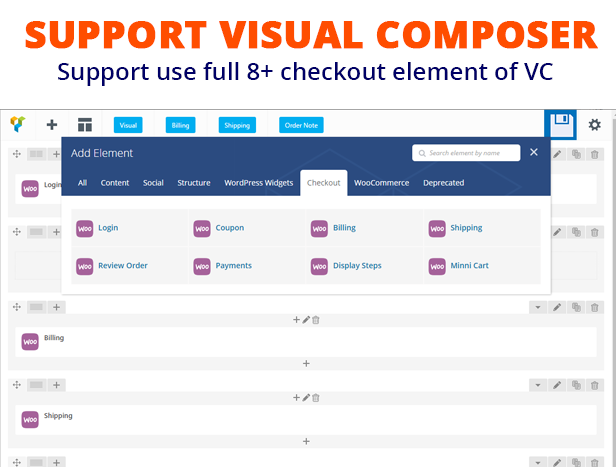 Also, if missing shortcodes for Woocommerce in Visual Composer, the plugin support to add it. 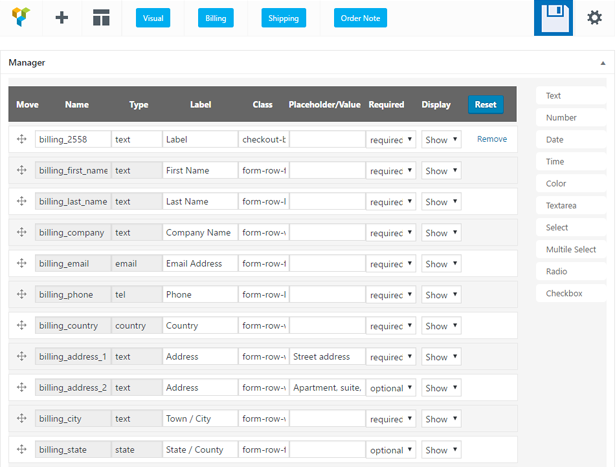 - Fixed: Submit step "billing"
- Added setting "Off and On-field checkout"